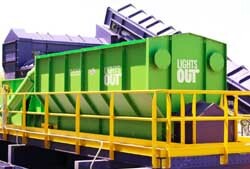 Whether you are in the market for a heavy duty construction waste material recovery facility, a portable C&D system, or a single stream MRF, Krause has the solution for you. Contact us today and our experienced and professional team will work with you to determine the best and most efficient layout that will yield the highest ROI for your material recovery facility! To learn more on how to incorporate quality equipment into your material recovery facility, please click here.